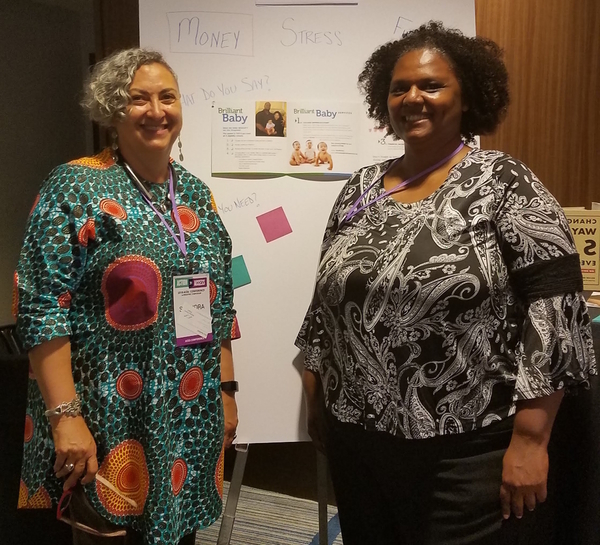 Saundra Davis, a financial coach and consultant who trains other coaches on building resilience among the working poor, knew she had met her partner in helping people deal with their “money disorders” when she first met Dr. Donielle Prince in Sacramento at a black women’s gathering in 2015. Dr. 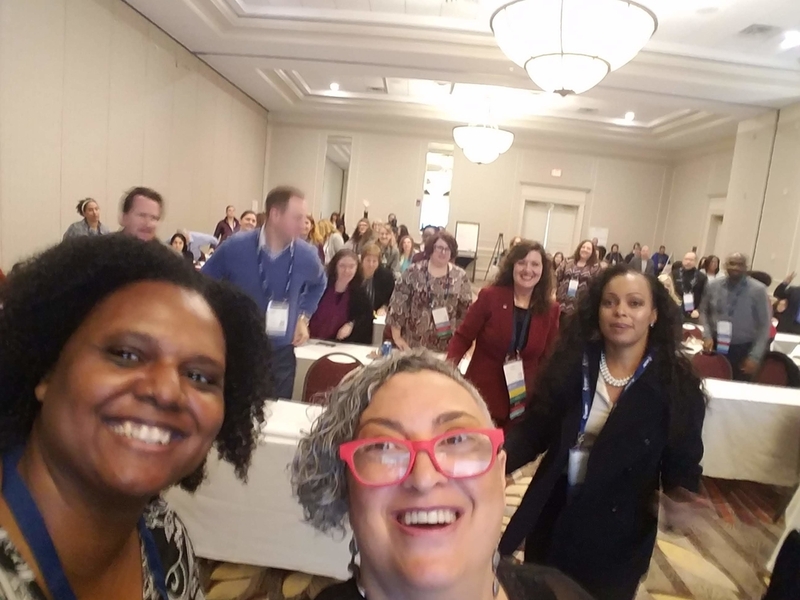 Prince works with ACEs Connection as its San Francisco Bay Area regional community facilitator. She also partners with Davis, founder and executive director of Sage Financial Solutions, to speak about the role ACEs science plays in financial behavior. Davis’s company is based in the East Bay of Northern California, but her work training financial coaches and managing projects extends nationally. “Money is like any other drug of choice,” Davis says — it’s how people deal with their pain. And that’s why ACEs science, which deals with the long-term health effects of specific adverse childhood experiences first identified in the groundbreaking CDC-Kaiser Permanente Adverse Childhood Experiences Study (ACE Study), factors into one’s financial behavior as well. “Dr. 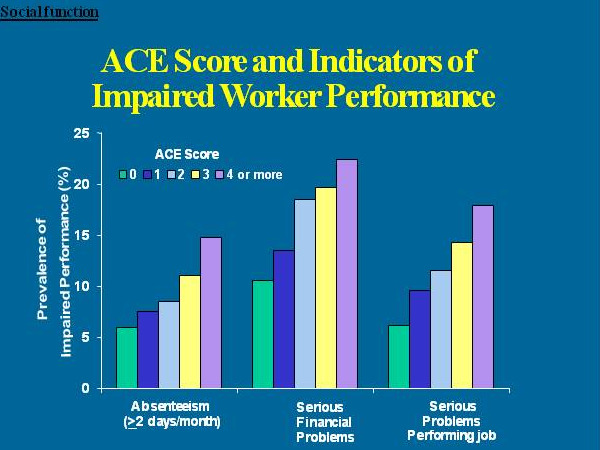 Prince’s ability to explain ACEs in detail has been a benefit to our field,” she adds. Davis, who spent 15 years as a consultant for national non-profits and government agencies and served as president of the Financial Therapy Association, says that until she met Prince, she had not heard about ACEs science. However, she says that coaching, by its very nature, is designed to build resilience. It does this by allowing people the freedom to express their goals and discuss what might be getting in the way of achieving them, rather than by telling them what they should be doing. Financial counseling, she says, is a process of empowering individuals to customize goals and processes for themselves. “Financial topics are most often about human behavior and emotions, and how people view themselves and money,” says Davis, who has a B.A. in management and an M.S. in financial planning. Although Davis says she doesn’t apply ACEs science directly – “It’s not my role to ask someone if they’ve been traumatized” – she makes sure not to trigger any traumas. For example, if someone has experienced domestic violence and was abused financially, a coach could re-trigger that trauma by requiring a client to bring her checkbook and prepare a budget, thus asserting the kind of frightening control a spouse has exercised. In turn, the client’s distress could also trigger a traumatic response in the coach, who might be vulnerable because of her own ACEs. Instead, Davis educates coaches to meet the client where they are by asking them what they need, then directing them to tools and resources for support. One of those resources is ACEsConnection.com, says Davis, because the network offers resources for both coaches and their clients. As a result of her collaboration with Prince, Davis says she’s been able to educate coaches to develop a greater awareness of trauma. “We notice things and know how to support the families better,” she says. Davis also cites her work with Brilliant Baby, a cradle-to-career program offered by Oakland Promise that helps people save money to send their children to college. Although the coaches Davis trains do not know what their clients have suffered, they do know, thanks in part to ACEs science, how to integrate trauma awareness to better help individuals become their own financial experts.Go herefor information on a training that Davis and Prince will be conducting in Northern California April 16-17, 2019. There is so much blame, shame, guilt and fear around money and money mismanagement. So glad you are shining a light on this issue, which touches every aspect of life.